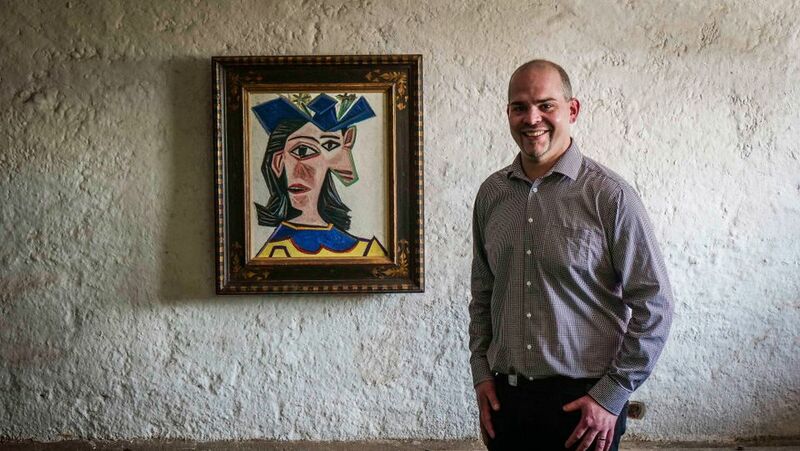 Would you like to put a Picasso above your mantelpiece? A Swiss farmer called Hanspeter Benz has won a competition to hang in his barn for 24 hours a prestigious piece by the Spanish master drawn from the collection of the Fondation Beyeler in Basel. Benz, who lives in Wettingen near Zurich, took possession of Buste de Femme au Chapeau (Dora, 1939) yesterday (16 April). Security was not an issue as "[the telecommunications company] Swisscom and Fondation Beyeler developed a smart frame for the masterpiece for #myprivatepicasso. This measures the ambient temperature and air humidity, provides the GPS position of the painting and sounds an alarm if there is any unauthorised movement," the organisers say. Picasso's granddaughter Diana Widmaier-Picasso even turned up at the unveiling, along with a selection of local children who made their own Picasso-esque drawings under the watchful eye of muse Dora.